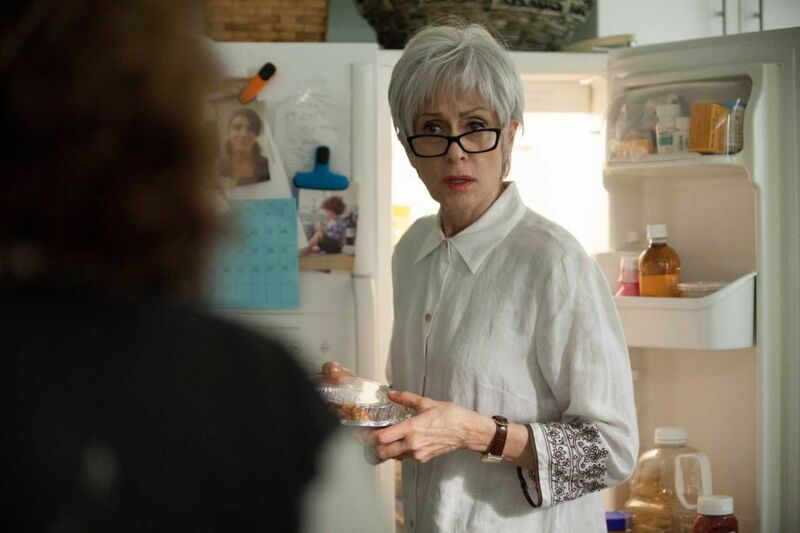 Over the course of its Emmy and Golden Globe award-winning first season, Amazon Prime’s “Transparent” pushed social boundaries in telling the complicated story of a family in transition. Led by the patriarch’s decision to come out as a transgender woman, creator Jill Soloway sensitively explored the phases of self-discovery every character was forced to undergo in the aftermath. “Transparent” handles its characters and themes with an anti-didactic delicacy, choosing subtle moments of self-exploration over anything that could be remotely considered a watercooler moment. Surprisingly, this somewhat changes in Season 2. In the season’s second episode, entitled “Flicky-Flicky Thump-Thump,” Maura and Shelley (Jeffrey Tambor and Judith Light) share a sexually explicit moment together in the bathroom. After Maura was kicked out of her apartment last season for being queer, she moved back in with Shelley and, as a result, the two find themselves walking the dangerous line of falling back into old habits. Such is the case when Shelley asks Maura to help satiate some sexual desires as she’s bathing in the tub. It’s a provocative moment that gives a sensual twist to the episode’s title. And yet, in typical Soloway fashion, the NSFW moment plays not for headline-grabbing attention but for deeply profound and painful subtext. 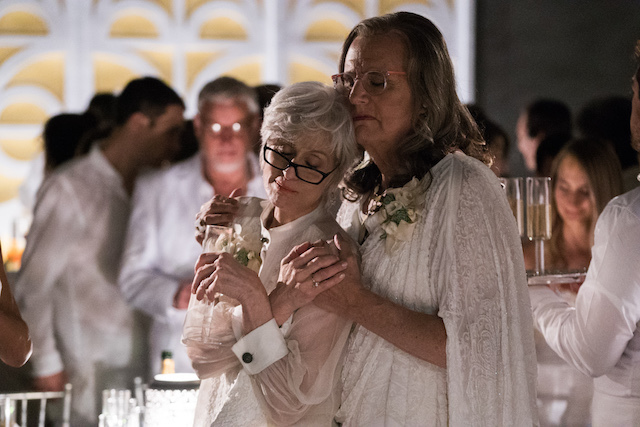 In a lesser show’s hands, the scene would’ve easily just been for provocation, but things are always more complicated on “Transparent.” While sitting down with Indiewire to discuss the new season, both Light and Tambor reflected on the meaning and power of the scene everyone will be talking about, as well as on what’s it like to be involved with a project they hold so dear to their hearts. Given all of your diverse experiences in this business after all of these years, I’m curious as to what surprised you most about the reception to Season 1. It’s hardly the first beloved show either of you have been apart of. 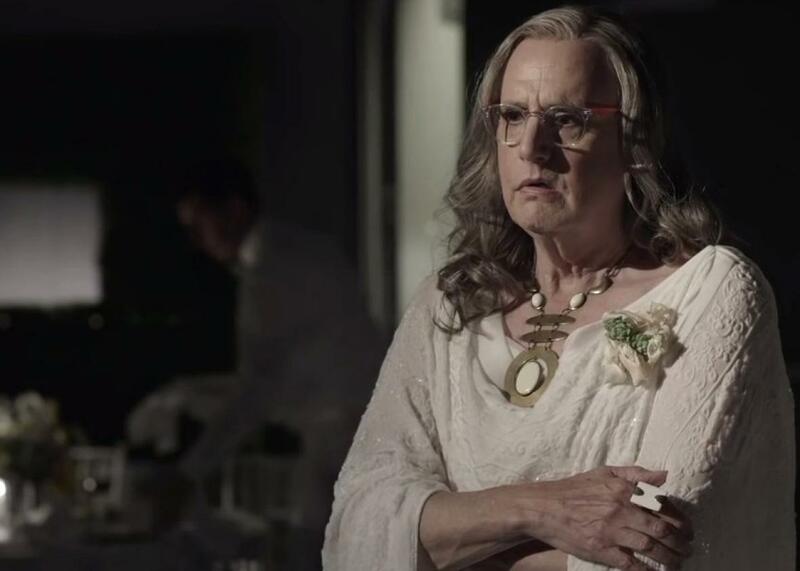 Jeffrey Tambor: The most telling one was recently on a plane. This guy very dressed up and formal — the watch, the shoes, the cufflinks, the whole nine yards — he came at me, and I thought I was going to get nailed. But he literally came up to me and just gave me a hug and said, “Thank you for introducing me to a subject that I didn’t know anything about.” In those moments it always clicks for me what we’re doing here. I am not so concerned with how many Rotten Tomatoes we have — although the good reviews are to be wished for, of course — but I have my hands full in the daily housekeeping of doing Maura right and being truthful to this experience. You keep your head down and you work and work, and all of a sudden you pick your head up and people are receiving it the same way we’re sending it. They’re thinking the same things that I’m thinking about the show. Do you find that’s an anomaly in this business? Has that happened before? Judith Light: Oh God, never! That’s why it’s so incredible to be here. What’s so really stunning about all of the awards and reviews is that we didn’t expect it all, and really it’s because Jeffrey is so extraordinary that this show has a universal strength to it. He led the first season, and what I find is that people are so happy for us and they say, “Those honors, that Emmy, the show’s Golden Globe, all of it, that is in rightness in the world.” It’s true, and that’s very rare in our business. There’s another story that Jeffrey talks about where he was at Sundance and some parents came up to him and said, “Our son came home and said, ‘I’m not a boy,'” and that’s the other thing that’s so important about the work we’re doing and the kind of responsibility we have to tell this story true. TAMBOR: On the other hand, we don’t come to work with all of these social goals, nor are we directly trying to change the world and all of that. Our job is that we have these human characters, and it’s our responsibility to play them truthfully and as human as possible. Jill has cast this impeccably. These actors nail it, even the non-Pfeffermans. It’s ridiculous. LIGHT: People come up to me and ask if they can get on the show. That’s how radiant it all sort of is. What is it about Jill’s writing that strikes a chord with people? LIGHT: It’s human, it’s true. TAMBOR: I get a singular comment that’s very revealing: “I didn’t know what to expect.” Every time I hear that I think it’s really just code for, “I wasn’t sure I’d be comfortable with you in this role,” which I understand coming from Oscar Bluth and Hank Kingsley and whatever. But I think there’s a degree of, “Oh, okay, this is how it is.” Then almost always people tell me that they love it and then people start talking to me about their families, whether it’s transgender issues or not. LIGHT: It happens all the time! People are always talking about that explosive moment in their family history that sort of changed everything and rattled the cage, and more times than not it has nothing to do with trans issues. That’s why people are relating to this show, because our family is their family and they understand that dynamic. How easy was it to jump back into these roles? Both of your characters fall back into their old routine, and it’s not very healthy for either of them. TAMBOR: I had a lot of questions about this season because, as people will see, Maura gets more involved in her community. I had a lot of questions where I had to be very frank and clinical. I had to go to school on it about what it could mean physically to be trans and the options that have to be weighed and considered. But I love that. Exploring that opens my worldview in ways that I would never be able to try if I weren’t on this show, and I think that’s just who Maura is. Maura is constantly still learning. She’s like a teenager still — she’s just trying to figure it out. LIGHT: Most people don’t take input incredibly well. I think that’s sort of the challenge this season, not just form Maura’s perspective but also from Shelly’s as she sort of falls back into the comfortability of her past live. She may not know it at the time, but she needs Maura to leave so that she can make the necessary transitions to her own life, because things obviously aren’t and can’t be like they were. Most people find it hard to change, which is why I think people are so connected to these characters. Maura is so brave to live in a world that is constantly telling you to be a certain way, whether it’s from a social, political or religious perspective. Maura needs to live her truth, and so does Shelly. One of the more emotional aspects of the early episodes is how Shelly doesn’t necessarily see that this change has to happen. LIGHT: Completely true. I think it’s really hard for Shelly to admit to herself that realizing the truth means moving on and sort of bracing the new and unknown. She wants to keep Maura close to her, but I think in order to do that she has to realize that she has to let him go. She can’t keep him like she used to, so she needs to discover the ways in which their relationship can continue in a way where they are both comfortable with their own individual and separate truths. The big crescendo of this internal conflict is the bathroom scene in Episode 2, which I’m sure you realize is the moment a lot of people will be talking about. LIGHT: Of course, but how perfect is that moment? It’s incredibly perfect, and I think that’s because it’s also incredibly painful. TAMBOR: The power of that scene — which really just means the power of Jill’s genius as a writer and an understander of human connection and relationships — is that here is this external physical action that is taking place, but the entire moment is so internal that it hurts. You read a scene like this and, of course, you’re taken back by it. I mean, look at us, we are not you’re go-to actors for a scene like this. We are not teenagers here. [laughs] But the meaning and the purpose is right there. You cannot mistake this scene for what it actually is, and that’s the realization that whatever is going on here just can’t work. The old way is over. LIGHT: The bathtub scene is so brilliant because it’s entirely built on this profound subtext of how this relationship cannot be what it used to be. In the most honest and painful way, it sort of cements the inevitable — this can’t continue. This is no longer a truth to either of these characters. They can’t live this way. TAMBOR: The scene is about the bathtub, sure, but the context is much larger. It’s about human hunger and longing for connection. It’s a very tender scene. LIGHT: I keep saying over and over again that I’ve never felt more safe in my life than when we were doing that scene. We are longtime friends, and you need that trust, I think, to go to that kind of place. Not even just to do the sexual part of it, but to get to that emotional space of deep, deep longing. That’s much harder to unlock as an actor, and doing it with Jeffrey is just the most wonderful thing. I felt so protected by Jeffrey and held by him, not only as a person but also as an artist and as a universal human being with the understanding of what this means. It means just as much and is just as difficult in its own for Maura to process as it is for Shelley. It’s not just about my character. It’s about the two us and our relationship. It’s about Judith and Jeffrey, Shelley and Maura. It’s something we don’t tend to talk about very much — mature women and their sexuality is a very vulnerable thing. The scene plays very vulnerably, too. TAMBOR: It’s absolutely a turning point for what this relationship means, and only Jill could do something like this. You watch so many shows where people try to be shocking to be shocking, but this has such gravitas to it in a way. The act may be shocking, but I think the reality of the situation that it presents is what’s the ultimate shock. As Judith said, it’s realizing how inevitable things must change. LIGHT: People are so resistant to change, and so are these characters. That’s why this show is just so wonderful — it’s true to the human experience.